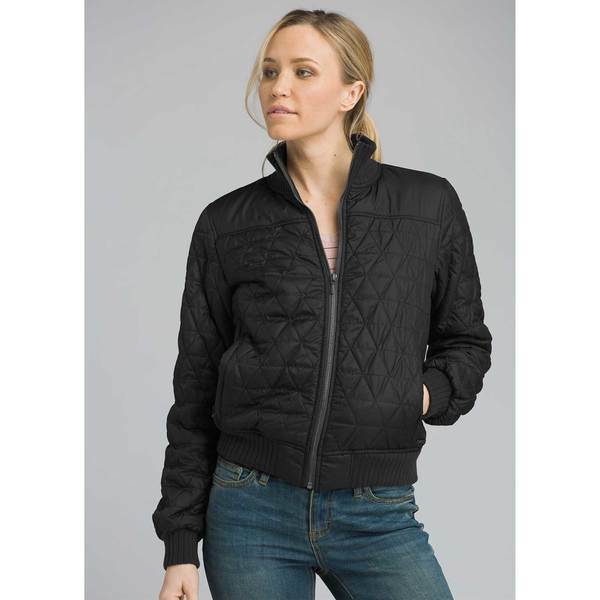 The Dive Bomber Jacket for Women features a matte polyester shell fabric with durable water repellent (DWR) finish, interior hanger loop, rib knit collar and side panels. Finished with a metal center front zipper, zip entry hand warmer pockets, all cut for a standard fit. Imported.